Welcome to Deed of Trust! A Deed of Trust, also known as a Declaration of Trust, is a legal agreement that can be used to specify how a property is held between joint owners. We draft our deeds to include specific information that you wish to have incorporated, this usually includes things like each party’s contributions towards the purchase price, their respective shares in the property as well as defining each party’s responsibilities with regard to outgoings. We also draft deeds where only one party is to be the sole beneficial owner, for example, in the event of a relationship or marriage breakdown a court may determine that property be transferred to one party, in the current economic climate however it is becoming increasingly difficult for single parties to obtain mortgage finance. This is one example of where a deed of trust can help. Search our extensive FAQ and Scenario Sections to see if we can help! Complete our online application form here. The form is designed to cover a variety of situations and circumstances. You simply need to complete the form as best you can and if necessary we will contact you when working on your matter to request any further information. Within 2 working days of the receipt of your application form we will provide you with a draft deed for your approval. We recommend that all parties to the deed have the opportunity to check and approve it. It may be necessary to make minor changes/updates based on your circumstances and this is the stage at which this is done. Once satisfied you will simply need to inform us that you are happy for us to produce the final version of your deed. The final stage is for us to produce the engrossed version of your deed ready for you to execute it. We will send you PDF versions of all of your documentation, including any Land Registry applications, as well as arranging for a bound copy of your deed and documentation to come out to you in the post. You will usually receive this a few days later. Do I need a Deed of Trust? There are a number of use scenarios for a deed of trust. Some of the most common ones are listed opposite. Whether you are a first time buyer or a development veteran, a deed of trust can provide a simple and secure way in which to protect your interests. Contact us if you have extraordinary requirements and we will do our best to help! Are you buying a property jointly with a spouse or partner? Or even a friend or colleague? A Deed of Trust could be vital! Do you already own a property with another party and now need to formalise the arrangement? Using a Deed of Trust can provide lasting peace of mind. Are you providing your child with a helping hand onto the property ladder and you want to protect both them and yourself? 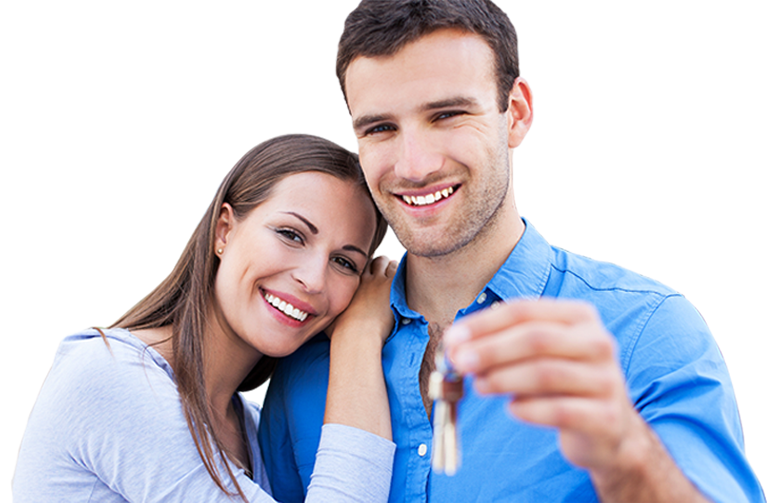 If you are married and jointly own a buy to let property then a deed of trust can be extremely tax efficient. If your relationship has ended and things are still amicable between you then a deed of trust may offer a solution in a tricky situation. Although our deeds are not meant to be replacements for commercial agreements they can have uses with regard to investment into property. Don’t be fooled into handing over hundreds of pounds unnecessarily to your legal advisors for the preparation of the deed as you can legally have this prepared for you at a fraction of the cost that you would be charged by your average High Street solicitors practice! Our deeds are prepared by property professionals working in the conveyancing sector with several years experience. We deal with these deeds on a daily basis and can offer you the benefit of our expertise in a compact and effective package. There are numerous variations that can be incorporated into a trust deed making each case unique. All that is required is completion of the application form which will ask for comprehensive details of the type of deed required together with any specific needs you may have. We operate a fixed fee service which means you will always be certain of the amount you will have to pay for the drafting of the agreement and will not be asked for any additional fees. The list is not exhaustive but should give you an indication of the types of provision that a deed of trust can incorporate. The process is a simple one. Firstly you need to complete our online Application Form. When you have entered all the relevant details as requested in the form you need to submit the application by clicking the pay now button and make payment. If you have any queries about any aspect of the form please do not hesitate in calling us on 0845 83 TRUST (0845 83 87878) or emailing us at info@deedoftrust.co.uk. If you would like one of our advisers to contact you please complete our online enquiry form. Once your completed application form and payment have been confirmed, one of our Advisers (who will remain your dedicated point of contact throughout the process) will email you to confirm receipt of your form and payment. Your Adviser may also request further information from you while they construct your deed, every situation is different and we obviously want to make sure your deed is perfectly crafted for your purposes. Within 2 working days (usually a lot faster) your Adviser will send you a draft deed (together with any Land Registry forms that your Adviser feels are necessary – Please see our FAQs) for your approval via email. Please read through the draft deed and any accompanying documents and make sure you are happy with their contents, if you have any queries please contact your Adviser who will be happy to explain any part of the deed or accompanying documentation you require further clarification on and to make any necessary amendments to the deed in accordance with your instructions. Once you receive the deed you simply need to execute it by ensuring all parties to the deed sign it and have their signatures witnessed as well as dating the deed. Please note that if you require changes to the deed at any stage prior to its execution please let your Adviser know and the necessary amendments will be incorporated into the deed. If for any reason your proposed amendments cannot be incorporated your Adviser will explain to you the reasons why (eg there may be a legal reason why one of your amendments cannot be included in the form you have specified, when this happens your Adviser will usually propose a suitable alternative to achieve your intentions). Our bespoke drafted deeds are offered at a fixed fee guarantee of £150 plus fixed Disbursements of £30 meaning a grand total of £180. You won’t find a better deal for a personally designed deed anywhere! We accept various forms of payment including debit/credit cards and bank transfer payments all via our Paypal portal. Excellent and prompt service. Bully was extremely helpful in suggesting what should be included in the deed. Fantastic fast and efficient service. The price was excellent too and the whole process was completed in a few days. Would not hesitate in recommending this company. Bully was absolutely fabulous and dealt with my request quickly and accurately. Very impressed with the turnaround and you guys do what you say on the tin. Transparent pricing and no hidden extras. Will recommend service to anyone in need. Saying Bully Rai was good is an understatement, he acted faster than expected and was more than helpful to any queries or changes needed, will highly recommend DeedOfTrust and Bully in particular, Amazing Service!